Jerry, you're way too hard on yourself - Those figures look great. You're really cranking these guys out. Your modeling-mojo is strong, my friend! First thing I've got to say: Whoa! Hold up - you're being way to hard on yourself! Ok, whew, I feel better now! Next, to your point, I suppose there are a few places you could sharpen up some details or fine lines - that said, I'll bet you're already on it! 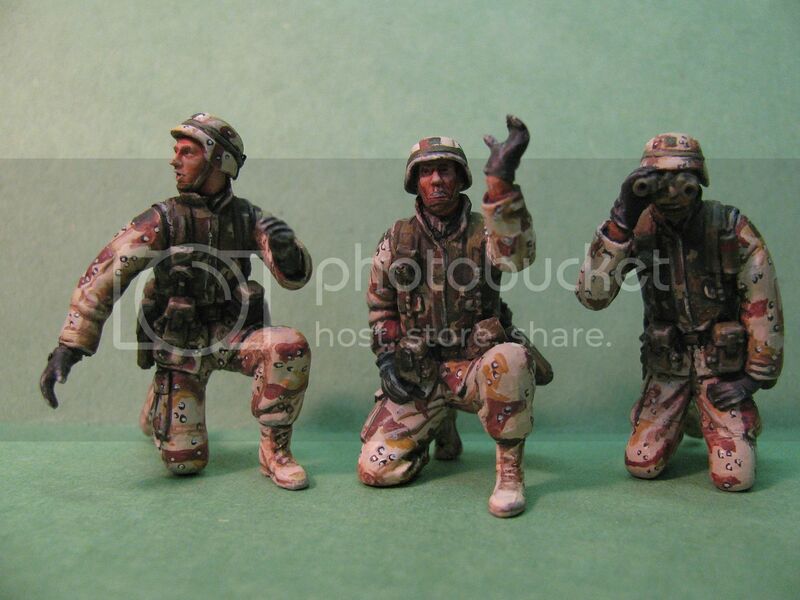 As you point out, it is probably easier to paint the super-crisp resin figs - even for an amateur like me!! This (the older, less well defined figs) is no doubt the tougher challenge. I can't tell you about specific mods, but, a bit more of the pin wash along lines and edges might work? Or, take out the trusty 1/0 and go for it and paint different colors on each horizontal and vertical surface where edges occur...or, if you're really not pleased with these guys, you could take out the magnifying glass and undercut each edge...??? Uhhh, that might be a bit much tho!! I realize by the way, your ridiculously high standards and great results!! Quite a number of your figs are in my JPEG ref file!!! So that I have a standard in place to aim for! Ok - looking forward to the next post!! Yup ... take the credit! Darrell Pat Mike Nick and Mike!!!! Thanks guys for weighing in and having a look. I appreciate the encouragement. Thanks again. Here are some new pics. I tweeked the shading and painting a bit and I think they are improved somewhat. I know the reason I am so down on my abilities is because I am now seeing so much incredible figure painting on-line that it has me feeling pretty self-conscious! Jerry, you're dead-on in that today's figure-painting standards are scary as hell! That said, yours look fantastic- cheers! Looking great there Jerry- you really shouldn't be so harsh on yourself. I think you've got the choc-chip BDU's looking just right. Thanks so much for the much needed words of encouragement. I find I am really having to push myself to get any modeling done lately. Don't be so hard on yourself. You do an excellent job with your figures by adding that extra bit of life to older kits, by making realistic looking hair, and by creating excellent poses that help your figures tell a story. 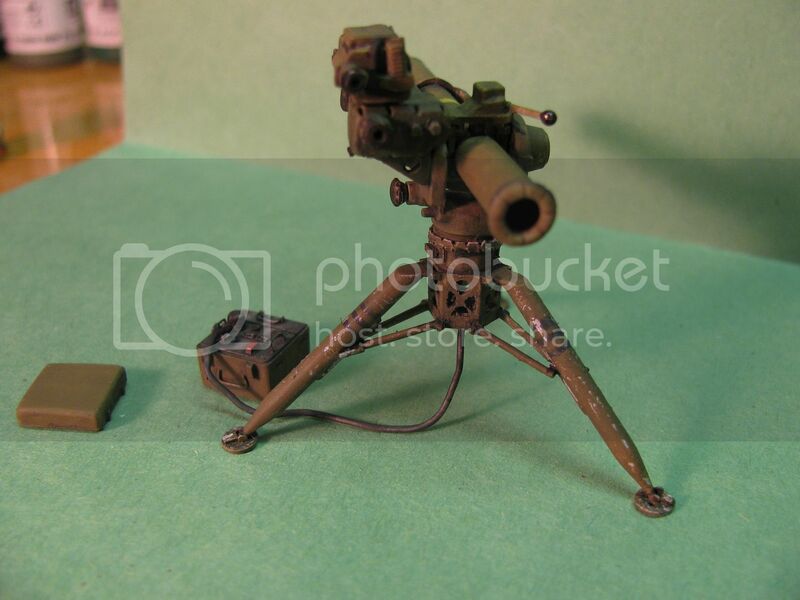 I know what you mean about the incredible painting by other modelers on line making one self-conscience. My stuff in nowhere near the quality of some of the stuff I see online and at shows, but there is something that sets your work apart from much of that. There are several things actually. One is that you put alot of heart and soul into your work...your projects mean something to you and they mean something to others. 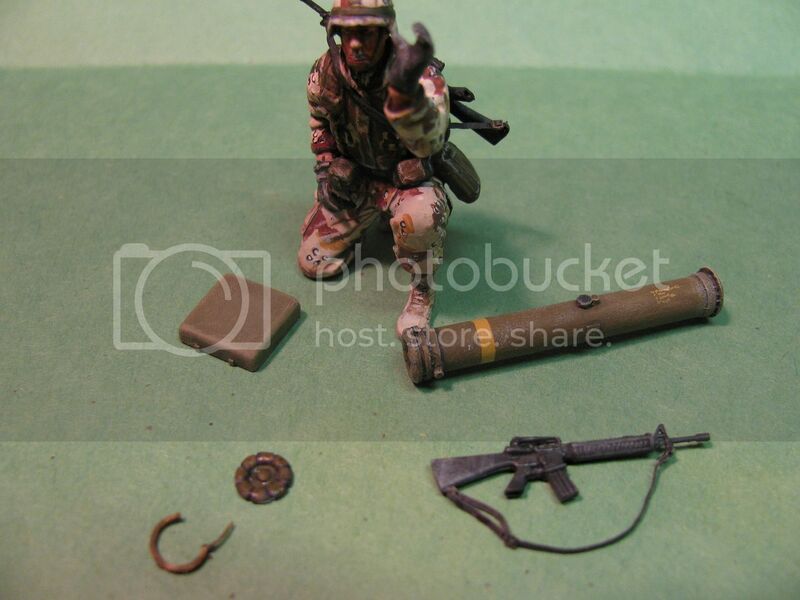 You can add details to your more modern figures that the manufacturers and many other modelers may miss because you know about those things from actual experience and having used those items (I am primarily referring to this set and your paratroopers rigged up for a jump. ), and you have developed a style of your own (which includes the way you recreate hair). When I see one of your works, if I did not know it was yours, I would be able to tell from it's style. I felt the same way you do, but Alexander from Masterbox and Vladimir from Bravo 6 both told me that I have a certain style in regards to my figures and that is what makes them unique. 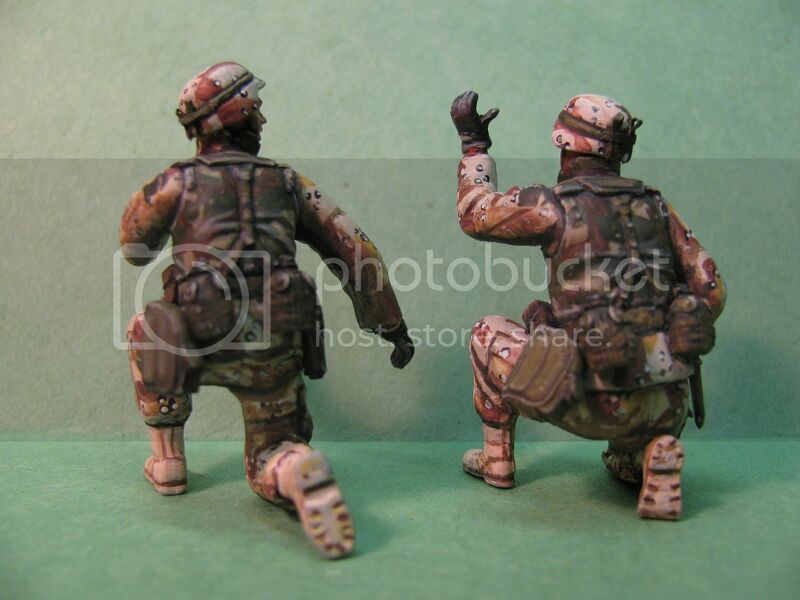 So what if our figures don't look like the masters. Even though it is something nice to strive for, I think we are both better off concentrating on telling the story and getting the small details right than recreating the painting style of some other modeler. Thanks a bunch for your comments. It really struck a note with me and made a lot of sense. I have come to realize lately that I do have a style. I never used to think so. I always thought my painting was pretty run of the mill because I was once again,referring to some impressive figure painters I know like Roger Hurkman or Per Olav,etc. At my advanced age and with dwindling acuity in my eyesight I don't see things getting radically better but I will strive for improvement for sure. You really put things in perspective for me a lot in this post!! Thanks brother, Strike Hold!!! No problem, Brother! I have attended shows in Texas and Oklahoma where I get to see works by Doug Cohen, Anders Heintz, Bob Bethea, Henry Nunez and others who make it look so easy and put out a good volume of stuff in a short period of time. When I look at my stuff compared to theirs, I find things that I could have done better after thinking that the latest work or two were the pinnacle of my work and realizing that I have a long way to go to come close to theirs. With the physical limitations I now have which have caused me to adjust the way I paint and sculpt, I know that I probably won't get to their level of work, but I can use it as inspiration. Now realizing that I have a style that is recognizable to others who have followed my work is motivation enough to keep trying to make interesting figures and dioramas, even if my painting abilities are not master level. Thanks for the kind words and nice to see you back here. Got a bit done on the launcher.Top coat on and scratches on the legs. Did the fronts of the lenses,painted bits and bobs,etc. Added the missing part at the back of the missile. 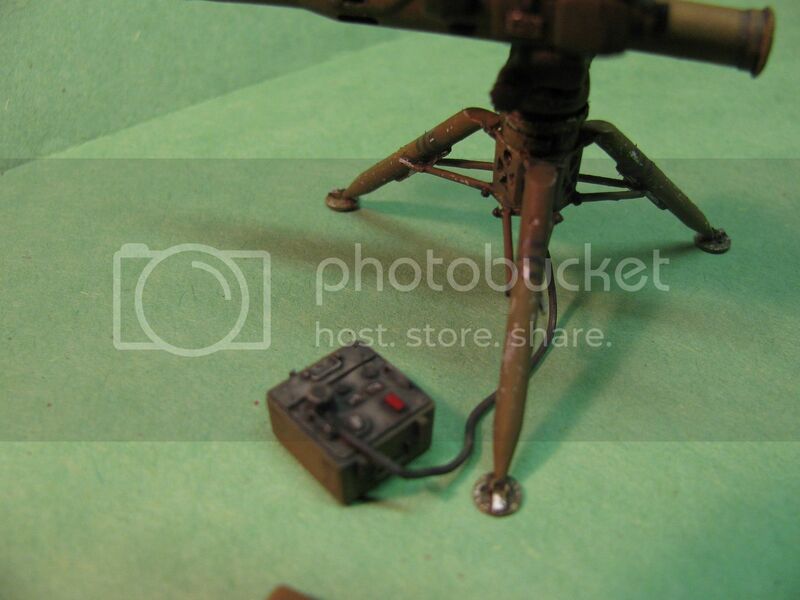 When the missile was fired,the center portion of the back cover blew off from the backblast but a ring remained. Touched up the missile guidance box as well. Still needs some subtle drybrushing i think. In addition to the drybrushing I will add some dust and dirt to match whatever groundcover color I arrive at. Thanks for looking! Well,I hope somebody is looking anyway. The TOW launcher looks awesome. Great job as usual. I'm looking -and liking what I'm seeing! nice weathering on the legs and control unit. Nice build and finish! Here is what is up next. Detail and paint the two personal weapons and add slings. Attach the night sight cover with a strap and paint it as it hangs from the launcher. 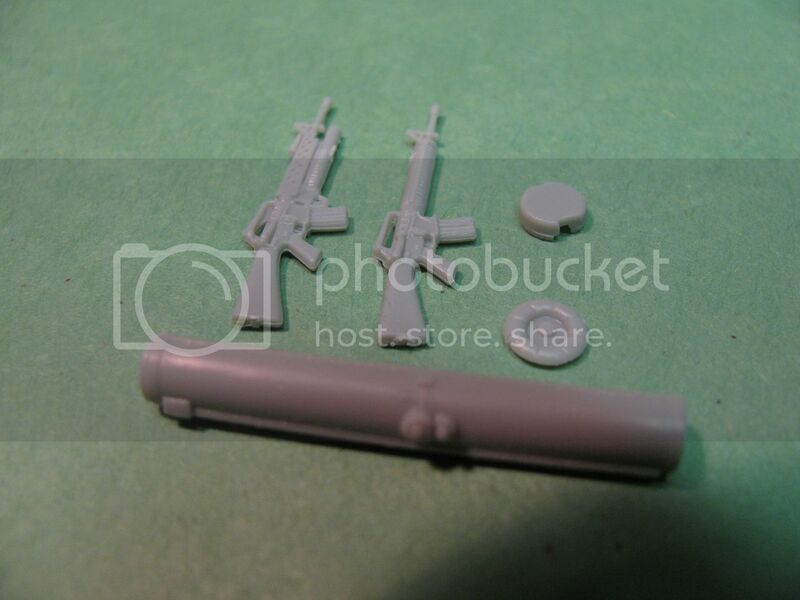 I need to make a mold of the missile cover as I need a few more. I only have this one and I need four total. You can see one of the kit missiles here without the end caps and also showing the strange angular piece running its' length. I never saw one like that. Maybe it's a new thing? 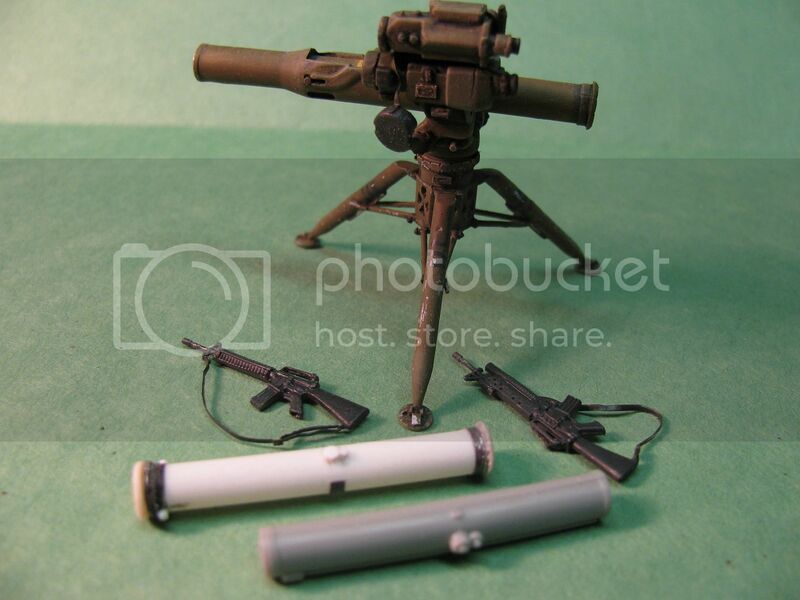 That launcher is a work of art in miniature. I'm loving this project, Jerry. Spent most of the morning prepping the wooden part of the base but got a bit done on tiny bits. Added the base coats to the M203 and M16 along with slings using hardware from an ole PE set. I also drilled out the inside of the pistol grip and 203 barrel. 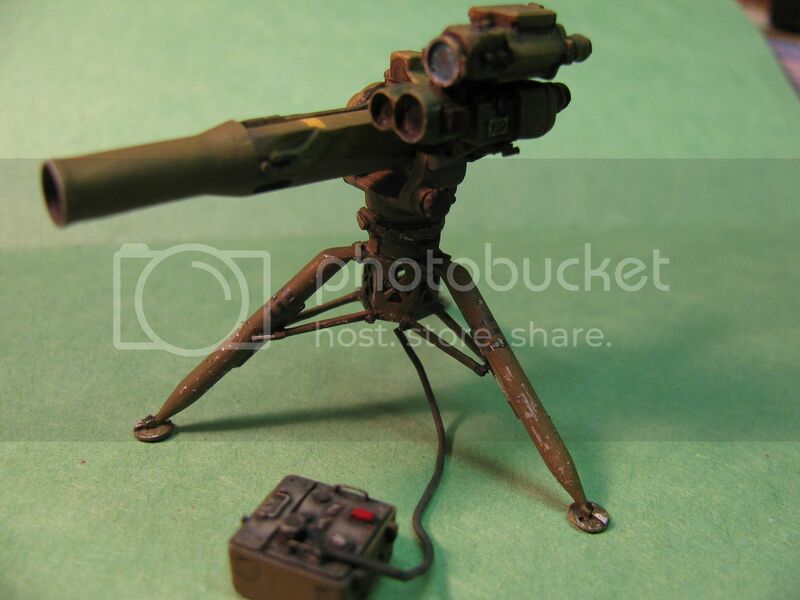 I completely re-made the tow missile with the quick release front cover clamp included. Last,I added the cover for the nightsight,hanging on its' lanyard. Spc4 Loader has received his personal weapon at last. I usually have to dremel a nice groove into the uniform and equipment when I add a sling like this onto a body but since this is a old style flak vest I won't have to. Too thick and heavy these things were. I painted up my home made missile and the paint picked up some details you may have missed. I also made the front cap and clamp for the missile already in the launcher. They still need touch up. Getting close now. Still waiting for the wooden base to dry. I like your attention to detail on hollowing out the pistol grips on the M16s and the barrel of the M203 as well as the lens cover hanging down from the sight. The guys you are building this for are going to be quite pleased. This is something special, Jerry. I'd never have thought of the hollowed out pistol grip - But now I won't forget it. The front cap and clamp are fantastic!